20th Century Fox is promising that The Greatest Showman is the greatest holiday movie of the season. It's Hugh Jackman's first big outing since saying good-bye to his iconic Wolverine character earlier this year in Logan. Now, he's singing and dancing his way through the end of the year with a show stopping extravaganza that proves to be a real thanksgiving feast for the eyes. 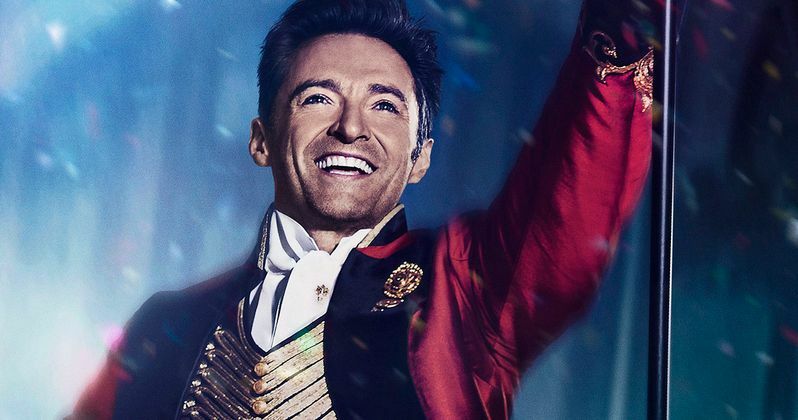 20th Century Fox has released the second trailer for The Greatest Showman, which has Hugh Jackman starring alongside High School Musical alum Zac Efron and Oscar-nominated actress Michelle Williams. Also running away to the circus are Rebecca Ferguson and Spider-Man: Homecoming pop sensation Zendaya. The Greatest Showman features original songs by the Academy Award Winning lyricists of La La Land, Benj Pasek & Justin Paul. Step inside the magical world of P.T. Barnum and experience the birth of show business! This musical hits theaters everywhere on December 20, 2017! Inspired by the imagination of P.T. Barnum, The Greatest Showman is an original musical that celebrates the birth of show business & tells of a visionary who rose from nothing to create a spectacle that became a worldwide sensation. Michael Gracey is directing the biopic, which was written by Jenny Bicks and Bill Condon from a story by Jenny Bicks. Laurence Mark, Peter Chernin, Jenno Topping are producing. While some smaller circuses are still operating around the country, this will be one of the few chances younger generations will get in experiencing the Greatest Show on Earth. In spring 2017, Ringling Bros. and Barnum & Bailey Circus closed shop for good, announcing their final show after 146 years in show business. Ringling Bros., who later merged with the Barnum & Bailey circus, were faced with animal rights activists denouncing the modern shows, and quickly dwindling ticket sales caused the operation to close its doors for good. So The Greatest Showman arrives as a testament to what happened in the early days, and stands as a piece of true entertainment history. Commercial director and visual artist Michael Gracey is making his directorial debut with The Greatest Showman. The movie has been in the planning stages for years, with Fox initially announcing the project back in 2014. The movie had been conceived as a traditional biopic. But Gracey decided it needed to be bigger. Which lead to a slight delay in the development process. He says this about getting the movie off the ground. "I said, 'If you're going to call it The Greatest Showman, you should play to your strengths and we should make it a musical.' That ridiculous remark cost me seven years of my life. Up until La La Land, everyone was saying there hasn't been an original musical in 23 years. So the prevailing thought in Hollywood was, unless you have a brand people know, it's not a done thing. So it just took a long time."